The purpose of Books and a Blanket is to promote literacy and well-being among young students who are in need. 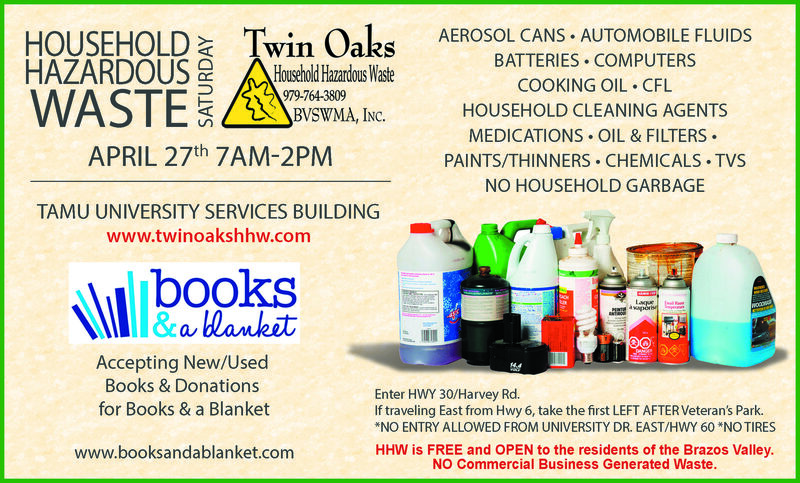 Donate your recycled books and other materials at the Household Hazardous Waste Event. Saturday, April 27, 2019, 7 am - 2 pm. Learn more here. Books and a Blanket on the Today Show. Find out about our organization, mission, and our methods for impacting literacy and well-being.